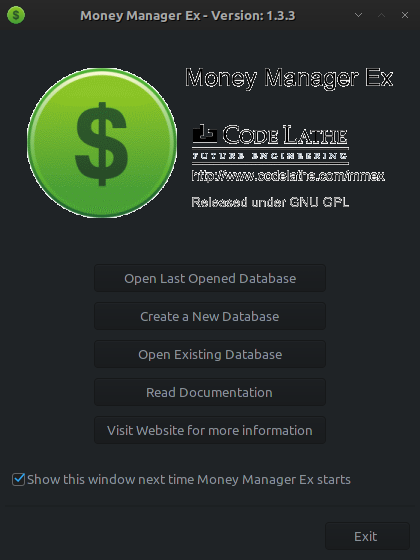 Money Manager Ex is a cross-platform, free and open source easy-to-use personal finance software. 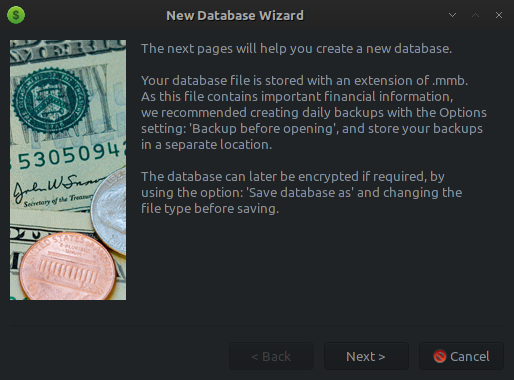 Money Manager Ex primarily helps organize one's finances and keeps track of where, when and how the money goes. 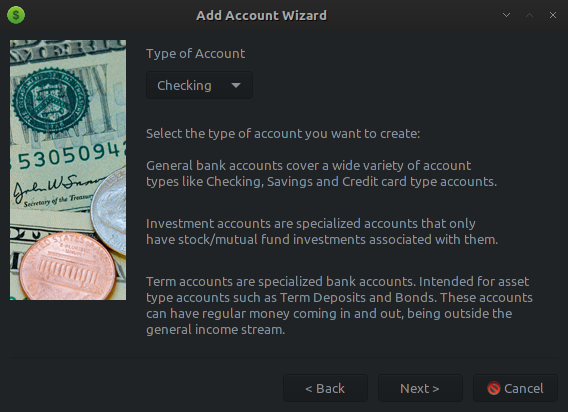 This software is also a great tool to get a bird's eye view of your financial worth. 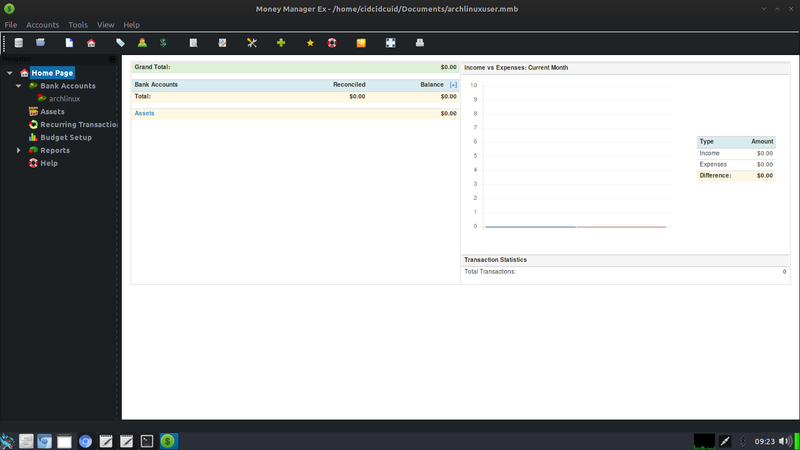 Money Manager Ex includes all the basic features that 90% of users would want to see in a personal finance application. The design goals are to concentrate on simplicity and user-friendliness - something one can use everyday. 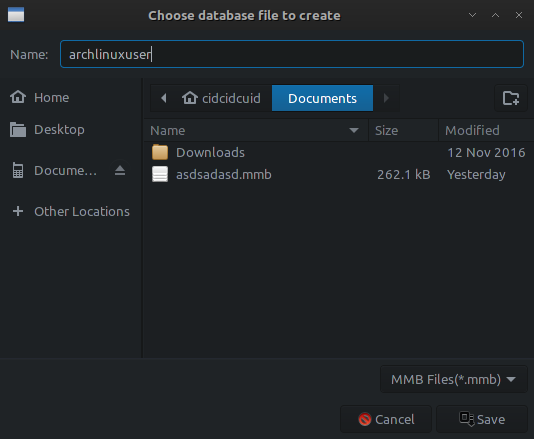 To create new database, choose "Create a New Database", then locate the file that you want to. 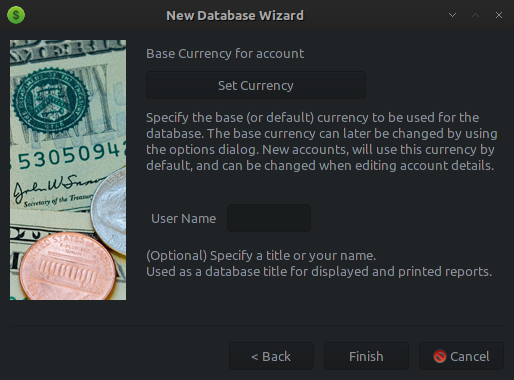 Choose finish to Add Account Wizard, then next, then choose type of account. Then write your name account, then choose finish. Here's the summary. 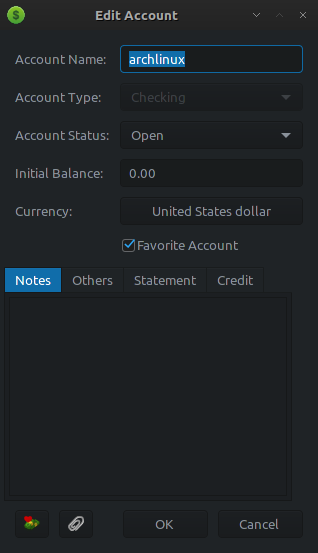 Then ok, Money Manager ex is ready to use. It's also available on other platform : Android, Windows, Linux, and Mac, for Windows platform, there's portable version that you does not require an install: can run from a USB key.